We have in our stocks an extensive range of Air Leak Testing Machine that is very useful for trio-clamp valves. These machines are highly demanded nationwide in many industries to control the leakage of compressed air out of equipment. 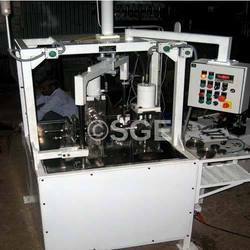 Procuring quality-approved raw material from reliable suppliers, our nimble-fingered professionals fabricate these machines in strict adherence with set industry standards. 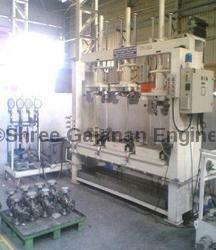 These machines are made highly efficient with the aid of modern tools and advance technology. Customers can facilitate the facility of customization to get the desired product as per their given specifications. We are offering Air Leak Testing Equipment/Shipping Industrial Equipment that are available in both standard and custom forms. These are highly demanded in automotive industry for checking the leakage. Our manufactured products are highly demanded for the reliability and quality that our customers gains from us. Thus we fabricate these machines at very large scale in our technologically advanced infrastructure. 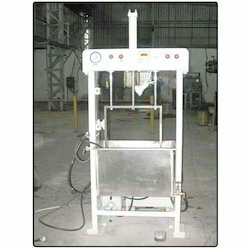 Offered equipment are fabricated in adherence with set industrial standards. In addition, custom-made equipment are also available. Looking for Leak Testing Machine ?